I’ve always wondered what people like to see in a book review. As an author, any review 3 stars or more is greatly appreciated. Even a 3 star review can mean that the reader enjoyed the book, they just didn’t love it. Every review is appreciated by an author, indie or not. One of my most liked posts on here is a book review. I wrote it almost two years ago now, and it still gets views. I do wonder sometimes how people stumble upon that post. It made me think why that review was so popular. If people enjoyed it enough to like the post, it meant the format of the review must have been to certain people’s taste. You can find it here. These are the 5 steps that I use to write my reviews. 1- I start with the rating. This way the reader can get an idea of what sort of review they’re going to read. If you can’t rate the book as 3 stars or more, don’t publish it. An author never knows if you’re reading their book (unless they’ve given you a free copy), so it won’t matter if you accidentally forget to write a review. There’s nothing worse as an author than to wake up to a 1 or 2 star review. What’s worse, most low rating reviews don’t even give a good reason as to why the reader didn’t like the book. If you do insist on writing the review, make sure you have valid reasons as to why it wasn’t to your taste. Simply writing, ‘This character annoyed me’, isn’t enough. WHY did they annoy you? 2- I state whether there are any spoilers. I try to avoid spoilers as much as possible, but sometimes it can’t be helped. I’ve read a book review before that didn’t warn of spoilers, and I found out about a character’s death. It took the fun out of reading the book, as I knew what was going to happen. Always warn of spoilers. 3- I include the blurb of the book. So many reviewers summarise the plot of a book themselves. I don’t see the point of this. The blurb is the hook that reels a reader in, so just include that instead of spending time reducing the plot of the book into a few paragraphs. This is also where those pesky spoilers come in. Sometimes the blurb on Goodreads can be different to the blurb on Amazon, so it’s usually best to pick the one that will grab most people’s attention. 4- I write about what I liked. This can include plot lines, characters, quotes, the author’s writing style etc. Literally anything can go in this section. There are usually a few characters that I pick out and write a little bit about. If you’re reading a series of books, it can be good to theorise what might happen in the rest of the books in this section. This can lead to conversation, especially if others have also read the book. They might have a different opinion about what might happen next. 5- I write about what I didn’t like. As above, this can include many things. I sometimes feel like there are characters in books that serve no real purpose, so I often include them in this section – without spoiling too much! There are often times when I have nothing to write here, so if nothing springs to mind immediately, don’t feel like you have to say something purely for the sake of it. If you are reading a self-published novel, try and refrain from pointing out spelling and grammar mistakes. 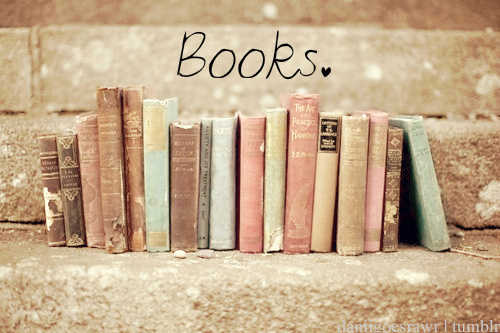 All books have them, indie or not. I find mistakes in the majority of books that I read, but I wouldn’t feel the need to mention this in a review for a traditionally published book, so why would I for an indie? Obviously, if there are mistakes on every page, the author should be notified, but not through a review. Send them a private message so that they can work on it for future readers. This way, if they edit the book, anyone reading the reviews won’t be put off by spelling and grammar errors that are no longer there. Obviously all reviewers are different. This is how I like to write my reviews, and as an author, this is the sort of feedback I’d like to have for my books. A review only has to be a few sentences long to make an impact. I’d love to know what your thoughts are on book reviews. Let me know what you’d like to see.